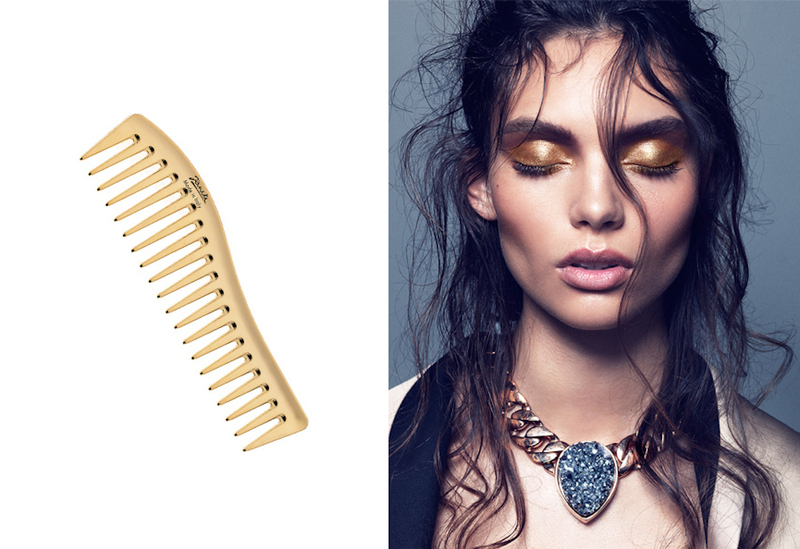 A Wide Tooth Comb is something everyone should have in their hair kit! It’s perfect for brushing out curls for a more natural wave without losing the curl completely. Plus its gold! A Renya favourite. The Valonz Editorial team have so much love for this luxe - looking comb and its ability to effortlessly de-tangle the most knotted of tresses - it's a go to for any editorial stylist. Janeke's gold brushes and combs are hand-crafted in galvanised 24K gold, meaning it is not just a varnish. This method of manufacturing produces uniformity and resistance, allowing for an elegant shiny gold appearance and the range is anti-static with rounded teeth. Fancy!